Beating the Big Guy - David Sarmiento pulls ahead of Mike Anderson in the final yards of the Hayward Inline Marathon to take the win. His time was 1:54:09.59. 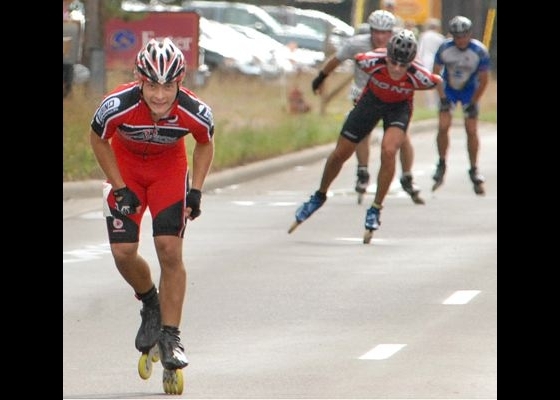 The 25-year-old native of Colombia has emerged as one of the Midwest's top skaters since moving to Minneapolis last year. Which is not surprising: he is a former member of the always-powerful Colombian national team. 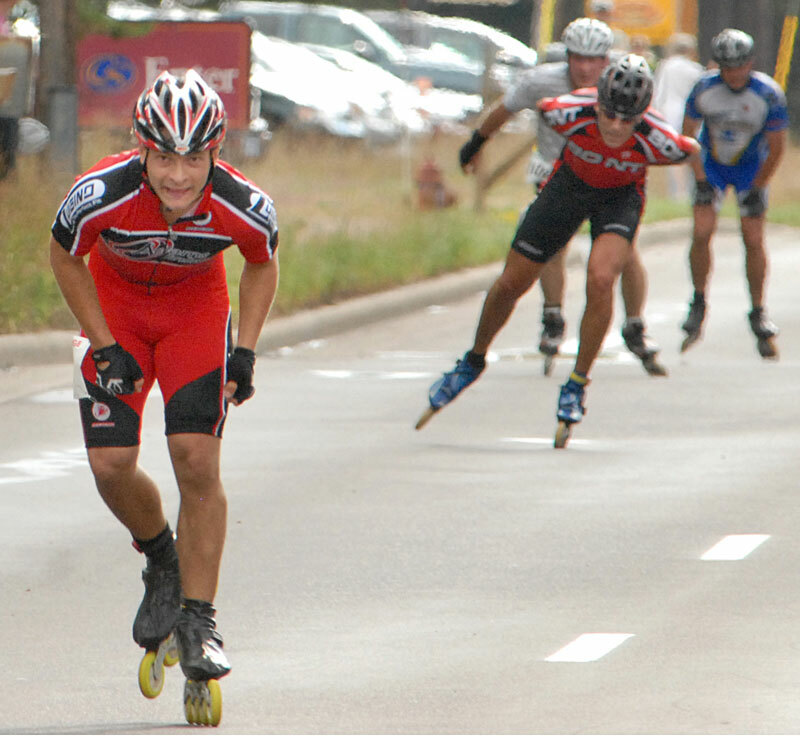 Last year, he finished second in the Northshore Inline Marathon.